Tuesday, December 15, 2015 1:30 pm. PETER NELSON, co-founder and CEO of Ag Innovation Development Group (AgIDG), recently joined Memphis Bioworks Foundation as VP for Agriculture Innovation. Nelson's AgIDG, a venture-development organization, will become a for-profit subsidiary of Memphis Bioworks, early in the New Year, according to the foundation's announcement, yesterday. Memphis Bioworks Executive Director Steve Bares said Nelson's appointment reflects a strategic leadership milestone for the foundation. Bares added that Nelson's reputation among Ag-innovation, Farming, Research, Investment and other stakeholders represents leverage with which Ag-sector allies "will take this [Ag Innovation] field to a new level in the region." Nelson's charge includes contributing to fulfillment of Tennessee's strategic objectives for the sector, including working with allies to develop 100 new startups and other ventures during 2016-21; increasing access to Ag-innovation investment capital; encouraging Farming innovation (touching on breeding, crop development and production methods, including precision agriculture and organic cultivation and more); and, fostering school-to-work pathways toward tech-enabled Ag employment. AgIDG will be closely allied with another Memphis Bioworks subsidiary, the venture capital firm Innova Memphis. Related coverage of is here for Innova, which is raising another fund. Led by Nelson, 41, AgIDG aims to create new companies to leverage intellectual property and other assets; move them to proof-of-concept stage or beyond; and, then introduce those companies as dealflow for Innova and other potential investors. AgIDG will also provide professional services in support of AgLaunch, the statewide Ag-centric business-acceleration program, now moving toward formal operations, in which VNC understands AgIDG is to play a pivotal coordinating and operational role. Earlier AgLaunch coverage here and here. AgLaunch allies include, in addition to Memphis Bioworks, the Tennessee Department of Agriculture (TDA), the University of Tennessee Institute of Agriculture (UTIA), Delta Regional Authority, the U.S. Department of Agriculture, Tennessee Department of Economic and Community Developed (ECD), LaunchTN (officially, Tennessee Technology Development Corporation, or TTDC), and other partners, according to a Memphis Bioworks press release. University of Tennessee Research Foundation (UTRF) is inherently also an important ally, Nelson confirmed. Asked for comment on the Bioworks-AgIDG effort, Tennessee Commissioner of Agriculture Julius Johnson told VTC, "Agricultural innovation is critical to Tennessee as we aim to increase efficiency and profitability on our farms and strengthen the economic standing of our rural communities. We are proud of the department's relationship with Memphis Bioworks and believe the addition of Pete Nelson and the Ag Innovation Development Group will further enhance our joint efforts to develop and promote ag tech and ag advancement. TDA looks forward to working with Pete as he steps into this new role." In addition to the AgIDG-MemphisBioworks merger, Nelson will fold his personal Nelson Consulting practice into AgIDG, he confirmed. Nelson's LinkedIn is here. AgIDG earlier this year described its role as "focused on commercializing early-stage agricultural innovation to bring new tools to farmers and near-term liquidation opportunities for the company's investors. AgIDG is focused on technologies that will improve farm efficiency, lower agriculture's environmental footprint, and assist agriculture in adjusting to new realities based on climate change, population growth, changing consumption patterns, and rapid scientific advancements." Nelson's co-founder in AgIDG was Brian Goodwin, who is an AgIDG director and was founder of Memphis-based fbsciences, among other ventures. Other AgIDG board members, Nelson said, include Doug Faulkner, former undersecretary of USDA Rural Development; and, Bud Hughes, former CEO of Stoneville Pedigreed Cottonseed Co. (sold to Bayer CropScience in 2007). Bioworks' Bares will join the AgIDG board when the transaction is complete. 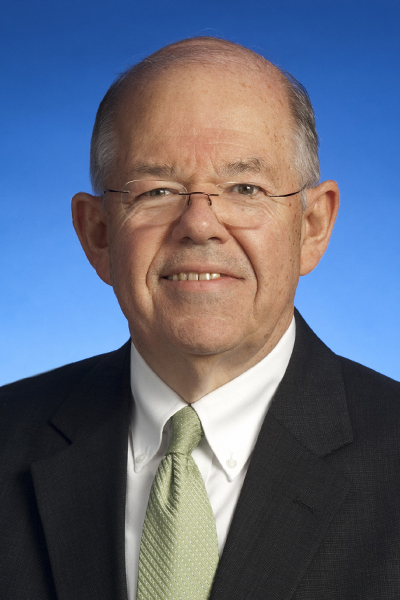 Bares is also chairman of LifeScienceTN, the state's biotech and lifesciences trade association. AgIDG's outside advisors include, among others, Andy Jordan, former director of research at the National Cotton Council; and, Rick Vierling, research director for the National Corn Growers Association, Nelson added. AgIDG co-founders still active in the company include Sam Brown of Chicago, a chemist and attorney formerly with Husch Blackwell; and, Francoise Mireles, a microbiologist formerly with Mycogene (now Dow), and other companies. The AgIDG venture-development model may strike some as reminiscent of the short-lived model introduced several years ago by Venture Incite, which was focused on East Tennessee IP, including that emerging from Oak Ridge National Laboratory. Related coverage here and here.